How do you order Wellbutrin XL 300 mg online? Have you ever tried ordering from Canada? YouDrugstore is an online Canadian pharmacy, which means when you order Wellbutrin XL 300 mg online you pay the same price that Canadians pay. Just fill out an order form and send YouDrugstore your prescription order for Wellbutrin XL 300 mg and our health care team will be happy to review it, process it, and ship it directly to your mailbox for a cheap shipping cost. Order your prescription Wellbutrin XL 300 mg online today and start taking back control of your life. What are the side effects of taking Wellbutrin XL 300 mg? Before you purchase your prescription order of the leading brand name Wellbutrin online it is important to understand the possible side effects. As your body gets used to Wellbutrin, it is not uncommon to experience constipation, weight loss, a decrease in appetite, dizziness, sweating, trembling, or stomach discomfort. Sometimes blurred vision, drowsiness, sore throat, frequent urination, and worry of well being are also experienced. In more serious cases, side effects can include shaking, hyperventilating, severe headaches, unusual irritability, skin rash, confusion, fainting, seizures, extreme and sudden distrust, false and illogical beliefs, and hallucinations. If these symptoms are observed, consult your doctor as soon as possible. When would I be prescribed Wellbutrin XL 300 mg by a doctor? If you have been diagnosed with major depressive disorder or seasonal affective disorder your doctor may prescribe Wellbutrin XL 300 mg for you. Major depressive disorder is a persistent, long term feeling of sadness and disinterest that does not resolve by itself. It affects how you think and feel, and it can cause significant issues in your daily life. Seasonal affective disorder, also known as SAD, is a shift into a depressive state from your average mood due to a seasonal change. Wellbutrin is an antidepressant used to treat these disorders so you can get back on track in your life. It also may be prescribed as an add-on to other antidepressant treatments. That means your doctor may prescribe Wellbutrin XL even if you are already taking a treatment for depression. Why is Wellbutrin prescribed to treat depression? Wellbutrin is a leading brand name antidepressant. It has been documented and studied with results proving the effectiveness of treating depression when compared with a placebo. 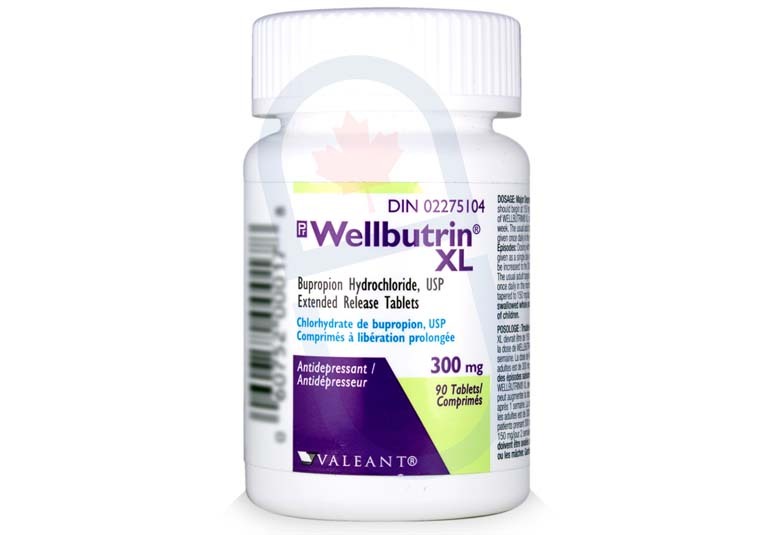 Wellbutrin XL is one of the most often prescribed antidepressants by doctors. The reason for that is because Wellbutrin XL is made with bupropion, which is very different from most other antidepressants in that weight gain or any sexual dysfunction is reported significantly less often when compared with most other antidepressants. Furthermore, bupropion is not a selective serotonin reuptake inhibitor (SSRI) like most other antidepressants, making Wellbutrin XL a great secondary treatment to compliment other antidepressant treatments you may be taking. However, Wellbutrin XL is also an effective treatment on its own. Who can take Wellbutrin XL 300 mg? Unless otherwise specified by your doctor Wellbutrin XL should not be taken by those who have a history of eating disorders, those who are suddenly withdrawing from alcohol, sedatives, seizure medicines, or benzodiazepines, or those who have taken monoamine oxidase inhibitor within the last 2 weeks. You should also not take Wellbutrin XL 300 mg if you are currently taking other medication that contains bupropion, such as Aplenzin, Buproban, and Zyban. Adolescents taking Wellbutrin XL are another concern, as suicidal thoughts tend to occur more often in youth when first taking this treatment. Talk to your doctor if you have questions or concerns.